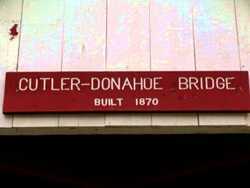 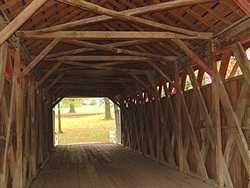 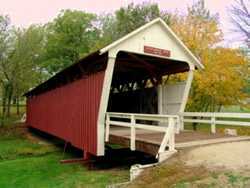 Cutler-Donahoe Covered Bridge, Madison County, Iowa. 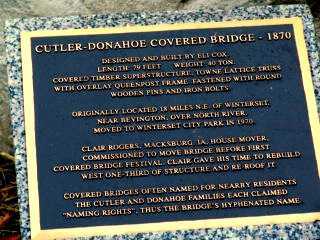 Originally built in 1871 over the North River near Bevington, this bridge greets visitors to Winterset City Park. 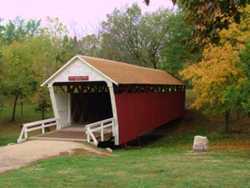 Built in 1871 by Eli Cox, it is 79 feet long and was moved to its present location in 1970. 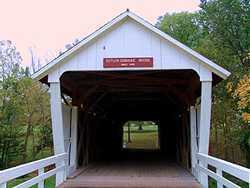 Renovated in 1997 for $35,538.